Use these resources to train and support leaders, or to plan and lead your ministry. 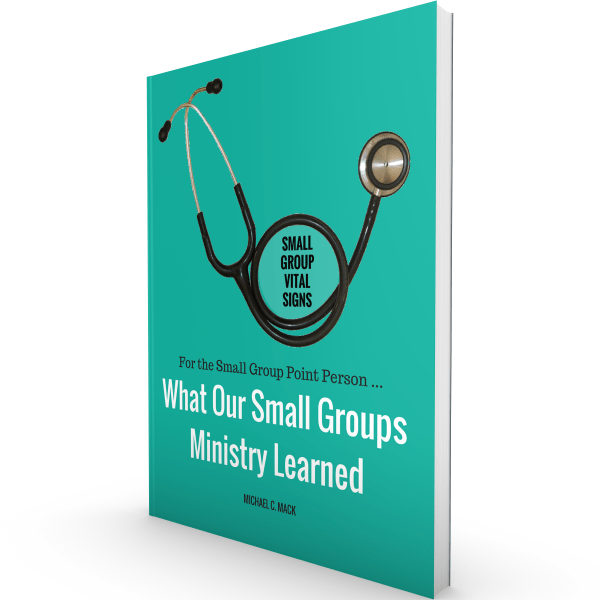 In this appendix to Small Group Vital Signs, I provide the background of our church’s small group health assessment, why we conducted it, how we implemented it, and what we learned. I go through each of the seven vital signs and provide exactly what we learned as a church and provide some overall analysis that may apply to other churches as well. I may be biased, but I think this appendix is worth the price of the book. Looking for help in designing and leading your small group ministry? These are our favorite books for helping you make your ministry healthy, growing, fruit-bearing, and reproducing. These are the best books available on how to coach your leaders well. Scores of ideas, information, tips, and additional resources for leading a healthy, growing, kingdom-building small group ministry. Watch this page for more resources coming soon. Also see the Resources for Small Group Leaders page.